Being a college student is no easy task. Between classes, internships, part-time jobs and extracurricular activities, there are so many things to juggle — not to mention having fun. Another important thing to do during college, which people might overlook: building credit. Here at TPG, we often discuss how grabbing a particular credit card’s sign-up bonus can quickly unlock award travel. However, in order to open those cards, you’ll need to have an established history of using credit responsibly. Fortunately, college is one of the best times to establish a clean credit profile, and even earn some points or cash back to use for travel. Just about every adult in the United States with a Social Security number has a credit profile — a history of one’s past borrowing and payments, which is often summarized in an overall credit score. Banks use this to determine how trustworthy you are and how much of a risk they’re taking when they issue you a credit card or other loan. Beyond credit card issuers, though, other parties check your credit profile to make sure you’re a responsible person. This includes the obvious, like mortgage lenders and auto loan providers, but also landlords when you apply to rent an apartment, cell phone companies when you sign up for a new line and utility companies when you activate electricity, gas or cable for your apartment. That’s why it’s important to have built some amount of credit history by the time you graduate college. Say you move to a new city for a job after graduation and want to find an apartment — your credit will be checked at least two or three times. If your profile is empty, then you might be required to pay a much larger deposit, or may even see your application denied by the landlord. Fortunately, building up your credit profile is easy while you’re in college by taking a few simple actions. Your credit profile is essentially the history of how you’ve used (or held, or interacted with) credit, and while you need some kind of past credit activity in order for lenders to give you access to credit, you also need to have access to credit in order to build that history. It’s a bit of a conundrum, and when you’re just 18 or 19, you may not have much or any past activity. One exception is people who have taken out student loans. While that kind of debt may not be fun to have, one upside is that they actually count as part of your credit profile, even before you enter the repayment period. Whether or not you have student loans, one great way to start building your credit history is to “borrow” someone else’s by asking one of your parents or guardians to add you to one of their cards as an “authorized user.” That means that you’ll have a card with your name on it, but it’ll be connected to their account, so they’re responsible for paying for any charges you make. Even if you don’t make a single charge, though, it can be worthwhile; most credit card issuers will report to the credit bureaus that you’ve been added to someone else’s account, and that will actually count toward your profile. For example, when I left for college my mom added me as an authorized user on her American Express charge card, just in case of any emergencies that I didn’t have the cash to cover. By the time I graduated, I had more than four years of healthy activity on my credit report from that single account. The important caveat here is that you can get the good and the bad associated with the account you’re added to. If the main account holder has negative marks on the card in question, such as late payments or a current high balance, that could hurt your overall credit score. This one can help both your credit history and your travel bug. There’s no doubt that opening a credit card is one of the fastest ways to earn points or miles toward travel, and anyone 18 or older can apply for their own credit card, but when you’re a college student, it’s not quite that simple. You’re still figuring out your personal spending habits and learning financial discipline. 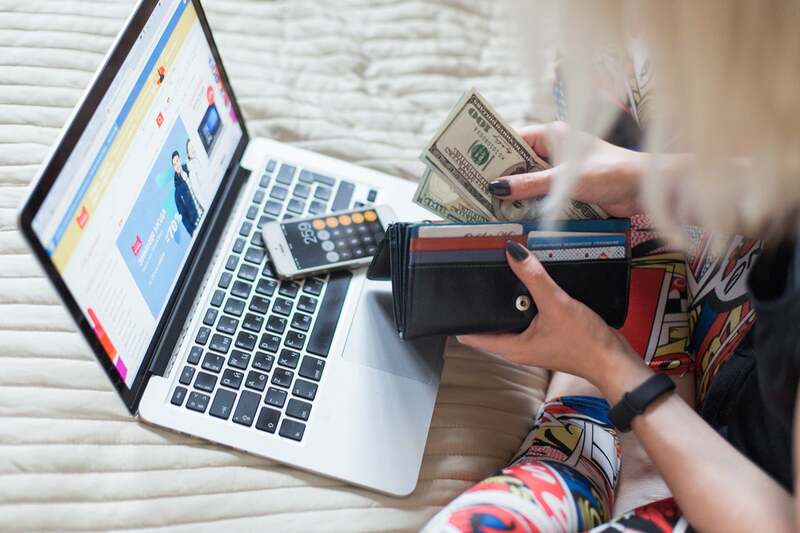 Because people tend to spend more money overall when they pay with credit cards compared to cash, it’s important to learn how to use a credit card responsibly and only spend money that you would be spending anyway. The best way to do that is by opening your first credit card so that you can get used to spending on the card, as well as paying it off, on time and regularly, to avoid interest charges, late fees and negative points on your credit profile. Your credit score will also benefit from having your own account listed, which you’ve been using, as opposed to just an authorized user account. 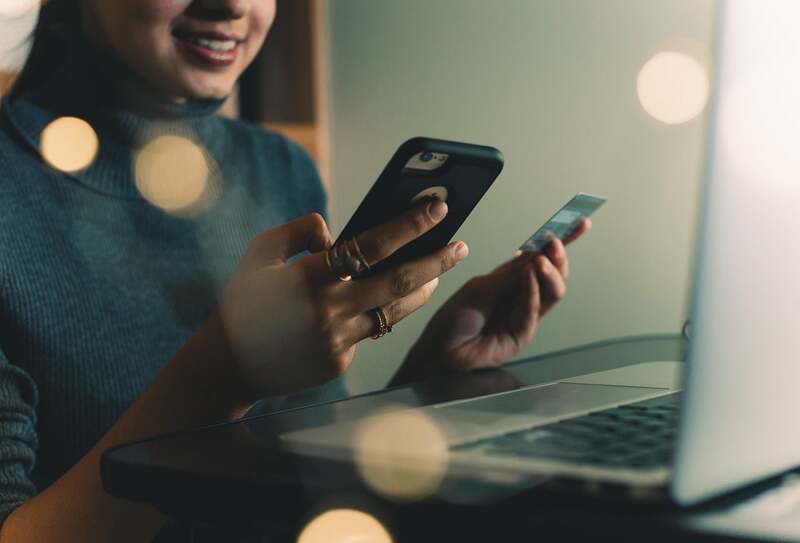 Before diving too far into the rewards game and considering travel cards like the Chase Sapphire Preferred Card, you may want to open a student credit card. Cards like the Discover it® Student chrome offer cash back on purchases, and even an extra bonus for high grades. It’s also easier for new users to be approved for a student credit card than many other cards. You may also be able to get a student credit card, or even a regular card, through your normal bank. There are scattered reports of individuals with Chase student checking accounts but little income being pre-approved for cards like the Chase Freedom. Wells Fargo offers a compelling product with the Wells Fargo Cash Back CollegeSM Card, which is most easily available to checking account holders, so be sure to check with your banker. The information for the Wells Fargo Cash Back College Card has been collected independently by The Points Guy. The card details on this page have not been reviewed or provided by the card issuer. If you have absolutely no credit history or income, you still have options — look into secured credit cards, which are designed for people in this exact situation. When you open a secured card, the issuer takes a cash deposit and then offers you a credit line equal to your deposit. That way, there’s no risk to the bank. If you don’t pay off charges on time or at all, the card issuer can just keep some or all of your deposit — while reporting the negative data to the credit bureaus. As long as you pay off the card on time, you avoid interest and build a positive credit history. You may even be able to earn cash back on what you spend with options like the Discover it Secured®. After a year or so of having a student or secured card, you can try applying for something more rewarding. Remember, though, to keep watching your spending! Also keep in mind that you’ll have to have some kind of regular income — besides disbursements of student loans — in order to get your own card. This can include income from part-time or summer jobs, plus regular cash allowances from your parents. This one may seem obvious, but tons of people assume that if they’re not traveling regularly for work, it’s not worth collecting miles. However, you can’t earn miles toward travel unless you’re actually collecting them, as TPG points out in his beginner’s guide. Besides, you’d be surprised how many miles you can amass by the time you graduate by flying, and using programs like dining rewards. For example, I was born and grew up in and around New York City, so when it was time for me to choose a college, I decided to apply to a mix all around the country. I took trips with one or both of my parents to explore a few schools in different states, usually flying to the nearest hub, renting a car and driving to each of the area schools on my list. I managed to earn a decent amount of miles this way. Don’t forget to start earning rewards for travel. Image by Kathryn Donohew via Getty Images. If you’re in a similar position, traveling to different places to visit schools before applying or making your final pick, make sure to sign up for frequent flyer programs with whichever airline you’re flying. Unlike with some hotel loyalty programs, a person can’t earn airline miles for tickets he or she purchases for someone else. That means that if your parents or guardians are flying with you, they won’t collect miles if they buy your ticket. If you sign up for an account, though, you can earn miles for every paid flight you take. That doesn’t just cover flights you take while you’re visiting schools — it means you can also earn miles for flights you take home for the holidays and semester breaks, plus any other flights you take while you’re in school, such as trips you take with a class or through a fellowship or scholarship. Points and miles make it easy to travel for cheap or almost free, and the fastest way to get those currencies is by signing up for credit cards, and by remembering to credit any and all possible travel to your frequent flyer accounts. When you’re a college student, you can start earning these rewards — maybe even enough for a free trip — but there’s more to consider. College is a great time to start building your personal credit history, and opening a credit card is the most effective way to do that. Even if you don’t collect enough points and miles to travel for free during college, they can always come in useful later, and you can earn more for any paid trips you take with friends and family. When considering points, miles and your credit health, just remember to always spend within your means and to pay off your accounts in full every month to avoid interest and negative marks on your credit profile.